Eureka Springs, Arkansas (population 2,278) was founded in 1879 at the site of medicinal springs from which water had been bottled and sold since the 1850s. 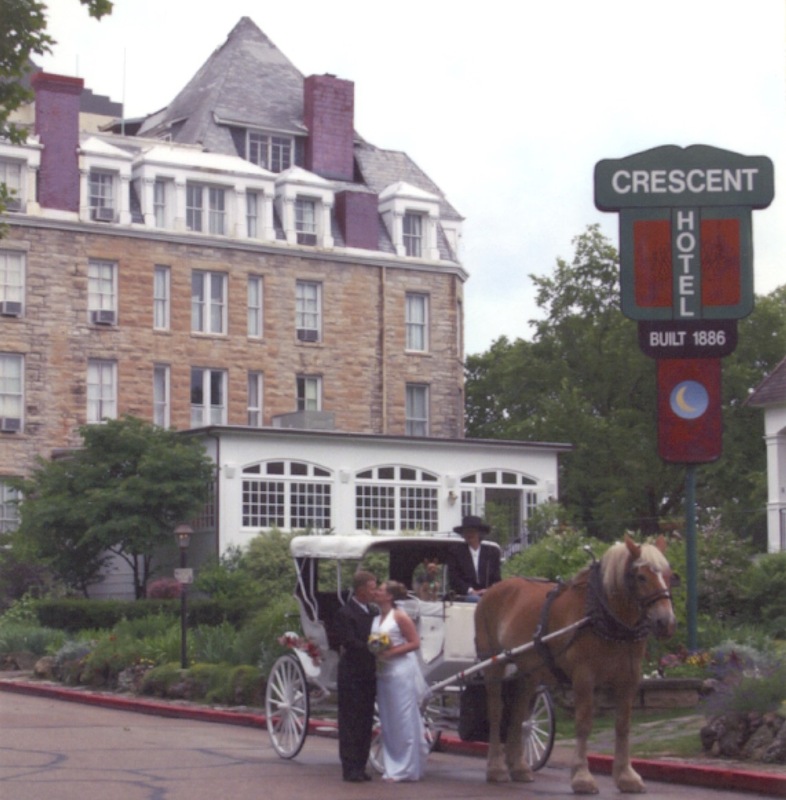 Early growth of the community was phenomenal, and, during the 1880s and 1890s, Eureka Springs became one of the premier resorts of the Victorian era. Its popularity was short lived, however, as the community entered into a period of decline during the early decades of the 20th century. With little new development taking place, Eureka Springs' Victorian architecture remained relatively untouched, only to be rediscovered in the late 20th century. 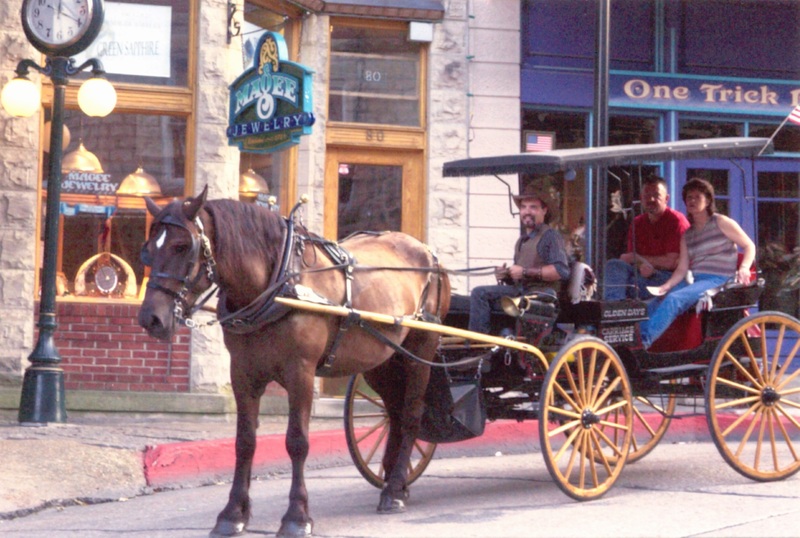 Today, Eureka Springs has the largest collection of Victorian architecture in the central United States, and virtually the entire downtown is listed in the National Register of Historic Places. Basin Spring Park with its medicinal spring is located in the heart of downtown, and the city recently installed an arched entryway sign resembling one that was in place during the Victorian era. The sign was unveiled as part of Eureka Springs' 125th anniversary celebration in 2004. Other recent projects in the park include archeological investigations and feasibility planning for making the spring water once again available for drinking. Throughout the community, informational plaques are being placed on public and private historic properties in the historic district. The Eureka Springs Preservation Society has also published six walking tours on the community and sponsors the annual Christmas Tour of Victorian Homes.